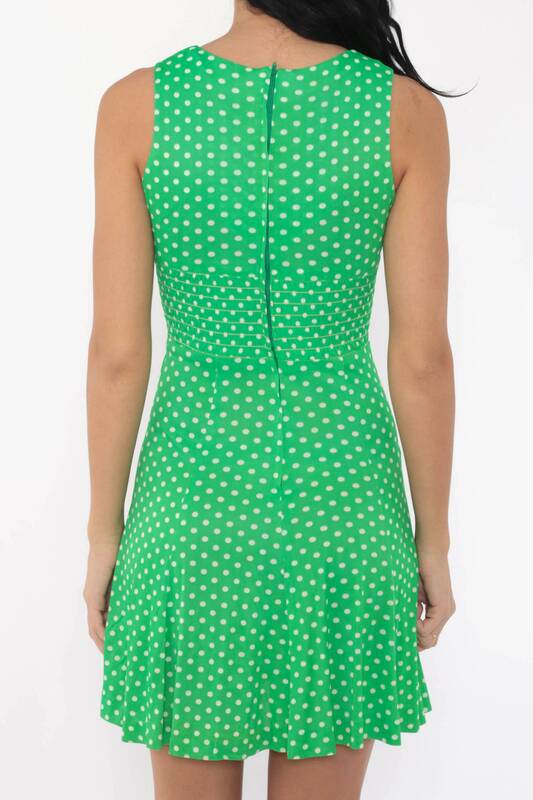 Vintage 70s dress in green with a white polka dot print and a smocked elastic waist. 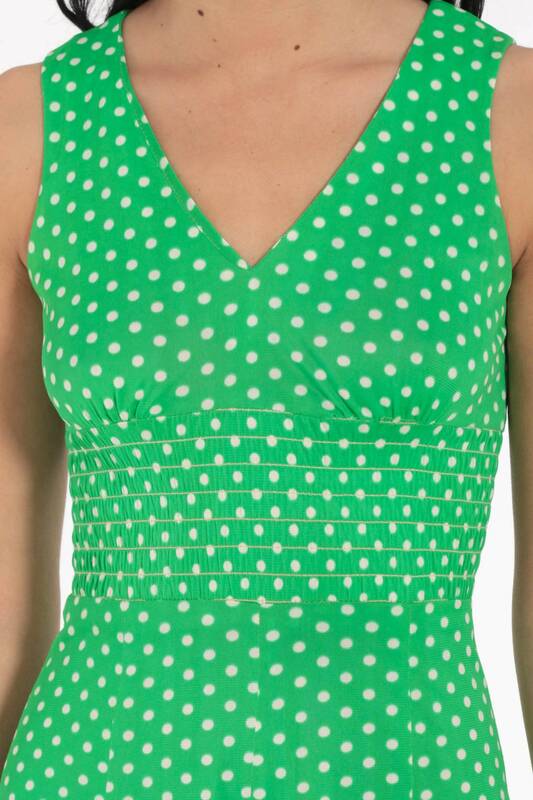 Sleeveless with an flared skirt, a v neck and a rear zip. Mini length.